WTMD is a 10,000 watt non-commercial radio station licensed to Towson University broadcasting from Towson City Center. The station serves the Baltimore metropolitan area and all of central Maryland with compelling contemporary music created by artists who are committed to the craft of songwriting. An NPR member, the station produces “Baltimore Hit Parade,” an hour long music and interview program focusing on the developments in the Baltimore music scene. WTMD-HD2, “The Baltimore Channel,” airs music created by Baltimore musicians and is one of the few local-music channels in the country. WTMD is listened to by 100,000 people each month and can be heard on-line at wtmd.org and on apps for the iPhone, Blackberry, and Android. 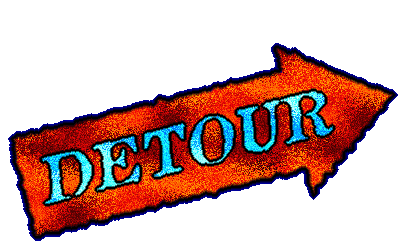 Detour has been on the air since 1982 in a variety of time slots, currently 5 to 7 PM on Sunday. 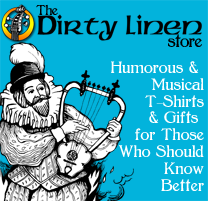 The show is an eclectic blend of folk, roots, and world music. Read about WTMD in Baltimore Magazine. read the blog, and browse lots of music news and happenings at WTMD. 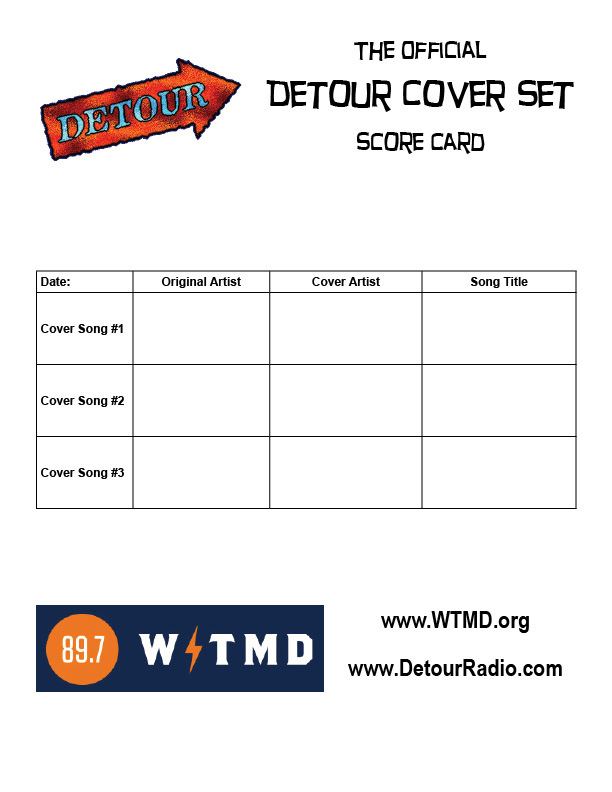 To have your events listed in the Detour concert calendar, simply email them to me at paul@detourradio.com. Best to do it at least 2 weeks before the event, although earlier is never bad! Venues can send an entire list, rather than one event at a time. You can also post events on the WTMD events calendar. Additional eyeballs may see it there. A bright broadcast\netcast in dark times! Thanks for celebrating Yennayer, Berber New Year by playing Thalweg, Hocine Boukella aka whacky Cheikh Sidi (that’s Seedy a la Algeria’s Amazigh Tom Waits) Bemol’s Berbero-Celtic band and the rousing “Toughach Ajejig”! Assegwas Ammegaz or Healthy & Balanced New Year 2964 to the Amazigh\Berber Diaspora and back home in Tamazgha! Also loved hearing local Baltimore treasure Midway Fair’s “Fairest of Them All.” Found the YouTube clip of Midway Fair as a duo another cool find thanks to DETOUR. MF: Tour in 2014! Spread the Fair! Thanks Michito! It’s great to have listeners all the way in the Pacific NW. Thank you for attributing the live version sang on the show of “Freight Train,” to Libba Cotton today. As a singer of traditional songs, it’s always good to hear people recognize where the music they sing comes from (or at least try to). Please announce the BFMS Spring Faire to be held on the 27th with lots of live roots music, jamming on old-time instruments, contra and square dancing, family events, main stage and lots of participatory workshops. Free! Cromwell Valley Park. The real deal. We are having a June 21 performance of Rock and Roll Hall of Fame member John Sebastian and I was wondering if we could listed with you folks or have it meantioned. Included here are two links regarding the show. The show is June 21 @ 7 PM and is a benefit for the Lazarus Caucus, a non-profit organization that assists the homeless and formerly homeless. I’ll add it to the concert calendar for the week of Sunday June 15th. Hey Paul! It’s Rae Ann, how are you doing?! So, I read about you and your efforts in The Towson Times regarding Rogers Forge’s problems with our educated young people. Well Done! You’re a big shot in the neighborhood, keeping the peace. Good man! Rogers Forge was my first Baltimore home and it meant a great deal to an inner city Washingtonian like me. I was very happy there. So, I not only hear you on the radio I read about you in print. You’re a media darling!! Know I’m listening, Paul, and reading! Can you send me the Sting cover playlist of all three songs & bands? Also what was the Eline Evers song that you played on St Patrick’s Day? A consistently terrific show. A needed pause from the rest of this crazy life. I have the first 2 songs, don’t have anything by Paul Robeson. I’ll play at least one of them on tomorrow’s show.